Each year I make several samplers and use them as gifts for the holiday season. In my opinion, they make a perfect hostess gift and are much more unique than the usual bottle of wine or tray of cookies (although, I do love me some wine and home made yummies). 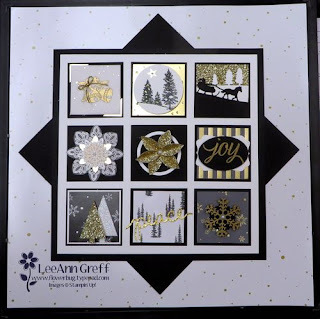 This sampler was made by LeeAnn Greff using the Winter Wonderland Designer Series Paper, and I love the simple elegance of it. The shimmery and sparkly paper paired with the traditional designs is breathtaking! Thatnks so much, LeeAnn for sharing this. 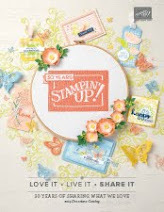 TIME TO GET YOUR OCCASIONS CATALOG! 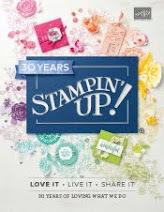 BRAND NEW WATERCOLOR PENCILS FROM STAMPIN' UP! AMAZING GIFT CARD HOLDER AND CANDY TREAT! 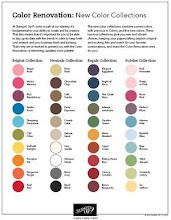 GET YOUR WISH LIST FOR SANTA READY! 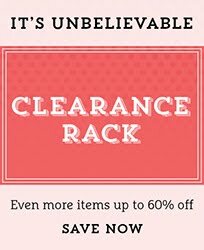 THE CLOSEOUT SALE IS HERE!